Nearly eight months after the first protestor took a stand, the Standing Rock tribe's protest of the Dakota Access Pipeline is still ongoing, and gaining ground online. 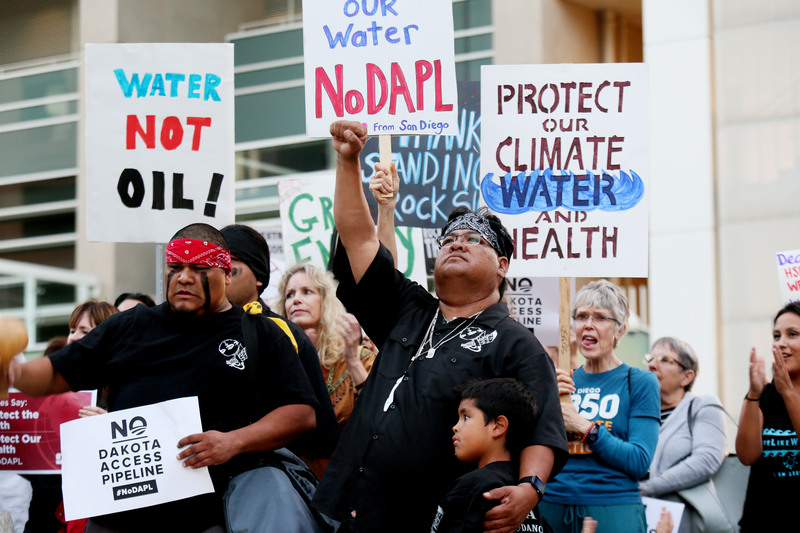 Millions are sharing their support for the water protectors fighting to keep sacred tribal lands free from the potential environmental catastrophe of the proposed oil pipeline, and if you aren't one of them yet, you should be. Here are some #NoDAPL memes & tributes to show your support for the incredible indigenous people fighting for their rights in South Dakota. To be clear, these tributes don't replace action. You still need to do something active to support the water protectors, whether it's contacting your representatives or purchasing something from their Amazon wishlist. In the social media age, there's a difference between support and help. it's great to let people know you support the environmental protections and human rights that the Standing Rock are trying to protect, and there's value in exposing others who may not see it as important as well. However, Facebook posts and retweets aren't going to keep the protestors alive in below-freezing temperatures or protected against rubber bullets. Please share these #NODAPL tributes, but let them serve as a first step, not the only step. Let everyone know every chance you get. National attention can be really quickly diverted to other things, but you have to stay focused on Standing Rock and remind others to do the same. Water protectors are being injured almost daily now, and one woman might even lose her arm. The United States government is causing its people bodily injury over oil money — let that fully sink in. Just remember how different the hostile takeover of government property by Ammon and Ryan Bundy earlier this year was. The stylistic beauty of this piece reminds you that this country endorses a broken system which puts profits over people. It's true — Bismarck residents were protected from the pipeline and the threat of potential leakage was passed on to the Sioux instead. Standing Rock is the type of governmental action that will seem horrendously inhumane in 50 years' time. The government has the power to make it stop, and the people have the responsibility to ensure that happens. Native people are denied access to the basic human right of clean drinking water, and this is how the country treats when they try to fight back. In the 500 years since Christopher Columbus committed massive genocide across the Western Hemisphere, not much has changed. Indigenous people deserve better than this. Sharing these tributes is just a start, but it's a good one. Don't let anyone forget about what's happening in Standing Rock right now, because all people need to be joined together against this corporate profiteering in order to fight back.